Brooklyn’s finest, The Notorious B.I.G., sadly died 20 years ago today (March 9). And as you may have guessed, the tributes are pouring in. One such tribute is that the Brooklyn Nets will celebrate Biggie’s life when they play the New York Knicks at Brooklyn’s Barclays Center on Sunday (3/12). The game, which starts at 6 PM, will have Biggie’s music playing throughout. Puff Daddy and Biggie’s mom Voletta Wallace will be there for pre-game and halftime ceremonies, and Biggie’s tour DJ DJ Enuff will perform at halftime as well. The Brooklynettes are also doing two special routines in honor of Biggie, and there will be a video montage commemorating Biggie’s life. Biggie’s children, T’Yanna and CJ Wallace, Mark Pitts, and Wayne Barrow are among the invited guests. The Nets are also refurbishing the basketball gym at Queen of All Saints School in Brooklyn, where Biggie went to middle school, on behalf of the Christopher Wallace Memorial Foundation. Lastly, Biggie’s estate is unveiling the official “Hypnotize” designer label at a pop-up shop at Barclays Center called The Swag Shop, which is open today through Sunday. In other related news, Pitchfork reviewed three Biggie albums, and Puff Daddy & the Family’s No Way Out, today. 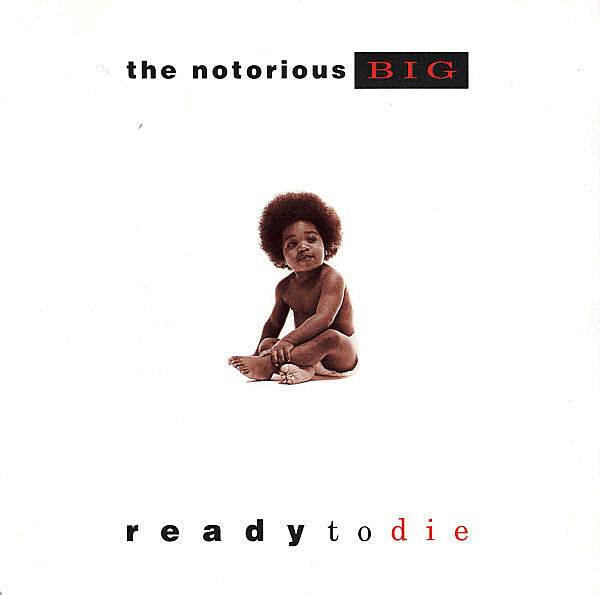 Ready to Die, “an unparalleled piece of rap history,” got a 10 of course. Life After Death wasn’t far behind with a 9.5, and the “posthumous cash-grab” Born Again came in with a 6.0. At his weekly Bowl Train DJ night at Brooklyn Bowl tonight, Questlove will play the music of Biggie and Bad Boy Records. More info below. Tickets are on sale. Biggie collaborators like Puff Daddy, Faith Evans and Jadakiss also posted tributes to social media. Check those out below. Last year, all three of those artists and other members of the Bad Boy Family teamed up for the Bad Boy Family reunion tour. Tributes also came in from Biggie’s Best Rap Album of 1994 rival, Nas, plus Talib Kweli, DJ Premier, Danny Brown and more. Before he was known as Biggie, Christopher Wallace bagged groceries as a kid in Brooklyn at Met Food Supermarket at 991 Fulton Street. Now it’s a Key Foods, but as a tribute through the Biggie Bags Project, limited edition stenciled grocery bags are being made available to customers, limit one each, for today only. Take a look at the bags below. #Repost @bryanmichaelcox with @repostapp ・・・ B. I. G. P. O. P. P. A. Notorious Day. March 9th. Brooklyn! We did it!